A friendly Adults Only site with very reasonable rates. Adjacent to a bus stop and located 3 miles north of Hereford on the A49. With easy access direct from main road. Just follow the brown coloured highways camping signs at Moreton-on-Lugg. Lucksall Caravan and Camping Park is a family run park set in 17 acres of immaculately kept level grassland, bordered on one side by the River Wye. It is closely bordered on the other side by our own 85 acres of woodlands. It is ideally suited to all types of mobile holiday accommodation for guests who prefer a natural inland park, giving space, freedom, peace and quiet. 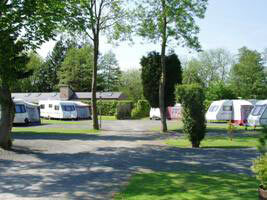 Pearl Lake leisure park in Shobdon, Herefordshire is set amongst glorious unspoilt scenery alongside the Welsh border. It is a beautiful 5 Star static caravan holiday home and touring park amidst 80 acres of parkland graced by a 15 acre private fishing lake and exclusive 9 hole golf course. Borders Hideaway is, as its name implies, secretly tucked away on the border of England and Wales, situated in a valley above the sleepy village of Clyro, on the Welsh side of the meandering River Wye. Our five star park is ideally situated for exploring Herefordshire (England's most rural county) and the borders of Wales. The Park consistently wins either gold or silver in the 'Caravan Holiday Park of the Year' which reflects the standards of customer care. We are proud of our Gold David Bellamy award for conservation reflecting our commitment to the environment within the business. 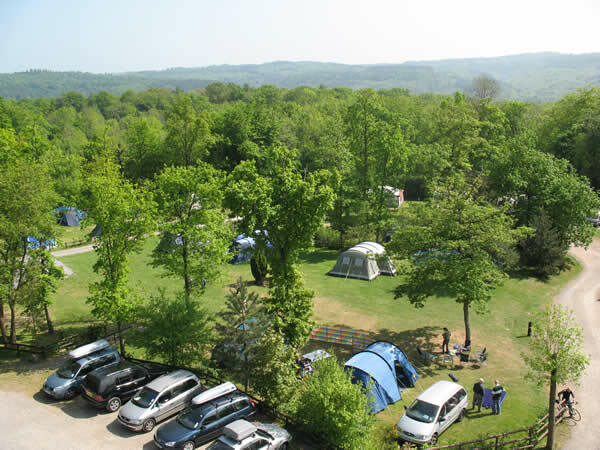 Doward Park Campsite is located in the Wye Valley near Symonds Yat - between Ross-on-Wye and Monmouth. The site is surrounded by woodland in a designated "Area of Outstanding Natural Beauty".